To which I reply “Same ole t’ing, maid, same ole t’ing. Makin’ stuff and den eatin’ some of it. 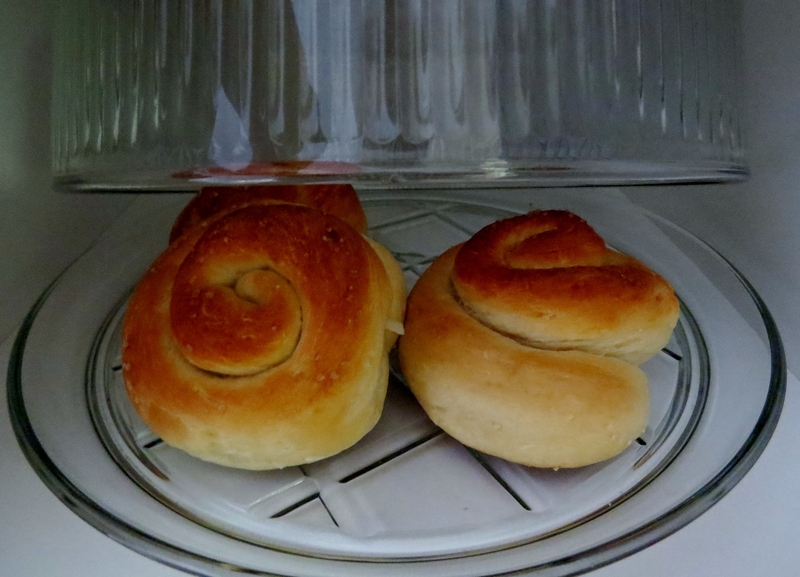 Eatin’ a lot of it, to be shore.” Like these Coconut Milk Sweet buns I made yesterday in my thrift store breadmaker using my thrift store breadmaker cookbook. Big buns. I had to rush most of them into the freezer so I wouldn’t eat them all before I went to bed. That’s our friend Bill playing a pocket-sized banjo. I guess they are trying to make them small enough to hide now, but do what you might, you can’t hide the sound of a banjo of any size. 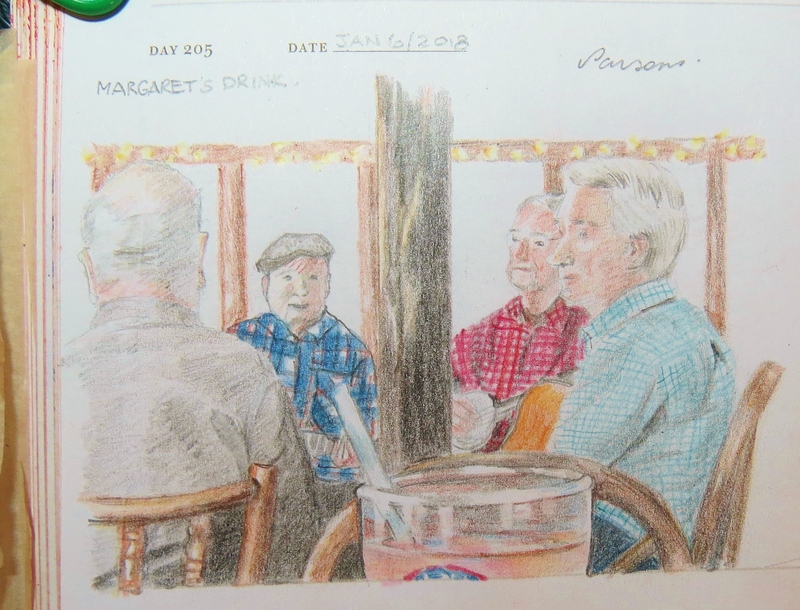 It would have been a lot easier to draw IF THEY WEREN’T ALL WEARING PLAID! Just sayin’.